Welcome to Temple Sinai. For 100 years our congregation has come together to worship, study, celebrate, and support one another. 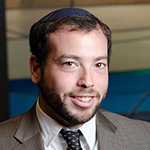 Listen to Rabbi Rubenstein on SoundCloud. Click here. Temple Sinai invites your membership for the upcoming year. To join, complete our New Member Application. For our Membership Dues page, please click here. If you have any questions, or need further information, please email the Temple office or call 845-343-1861. High Holy Day tickets are included in your Temple membership, as is direct access to our distinguished Rabbi, who brings his compassion, training, and life perspective to the evolving needs of our congregants at every stage of life. We encourage you to get to know our clergy and staff. Our Purim celebrations with children, families and clergy. Good for Father’s Day, teacher appreciation, graduations, BBQ’s and many other special events. Tune in to listen to The Rabbi Rubenstein On Apple Podcast. We have an active sisterhood, men’s club, youth group, and social action committee, offering a wide variety of social and community programming. Educational opportunities are available for the whole family through our adult education classes and our excellent religious school and nursery school programs. Our temple membership is made up of single individuals and families from all age groups, from infants to senior citizens. Read more.